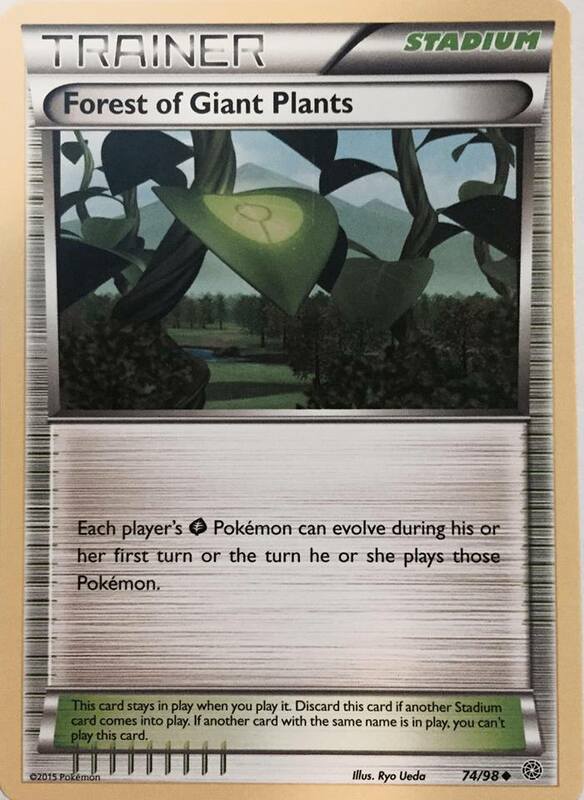 The Pokemon TCG expansion Ancient Origins has arrived and along with it, Forest of Giant Plants, which means that Shiftry donk has officially been released upon the Pokemon card world. 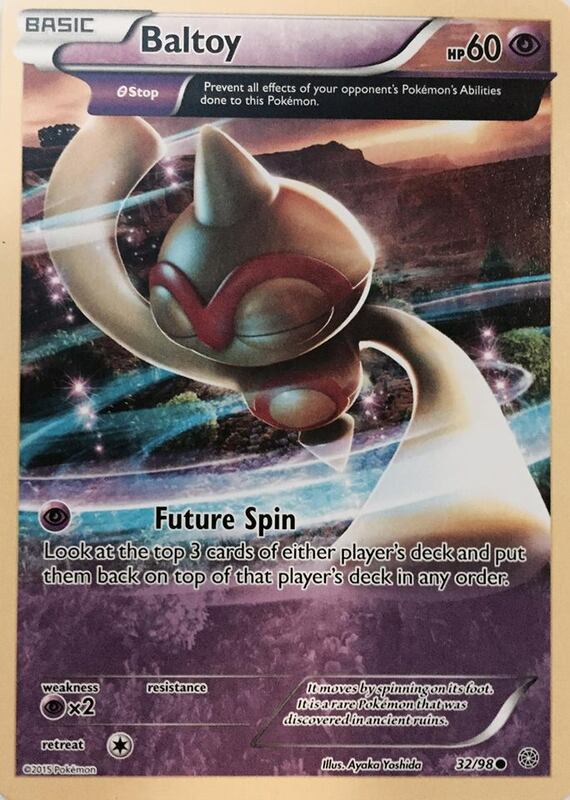 If you’ve crept into the Expanded portion of PTCGO it’s no mystery, Shiftry is the most popular deck in the Expanded format. In our first look at the deck we took an exploratory approach to looking at the deck to see if the deck worked on a basic level. In that article we came to the conclusion that the deck does work. In this article I will look at ways to improve upon the initial list for the deck and delve a little bit deeper into the deck now that I have gotten some time to test more games with a superior list as well as play the deck quite a bit online. In order to test the engine and general results of the deck I did a 51 game trial with the deck. 51 games is the maximum number of games that you could play in a Regional Championship if all of your matches go to three games and you make the finals. To take a look at the results of that trial, click the warp point below. 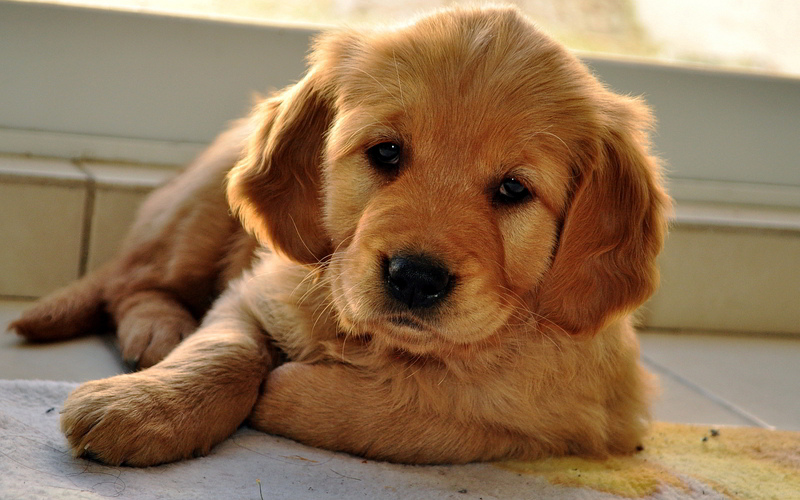 Now, onto answering some questions about the deck. Shiftry Donk is a deck that aims to win the game on the first turn of the game by removing all of its opponent’s Pokemon from play on the first turn of the game. 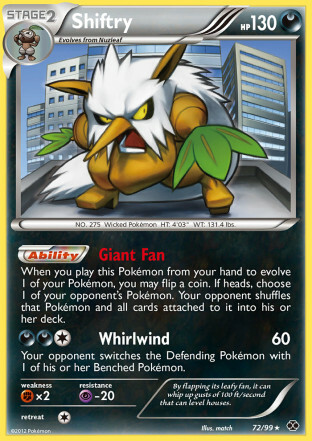 By using Giant Fan, you can remove all of your opponent’s Pokemon on from play during the first turn of the game giving yourself a turn one victory. 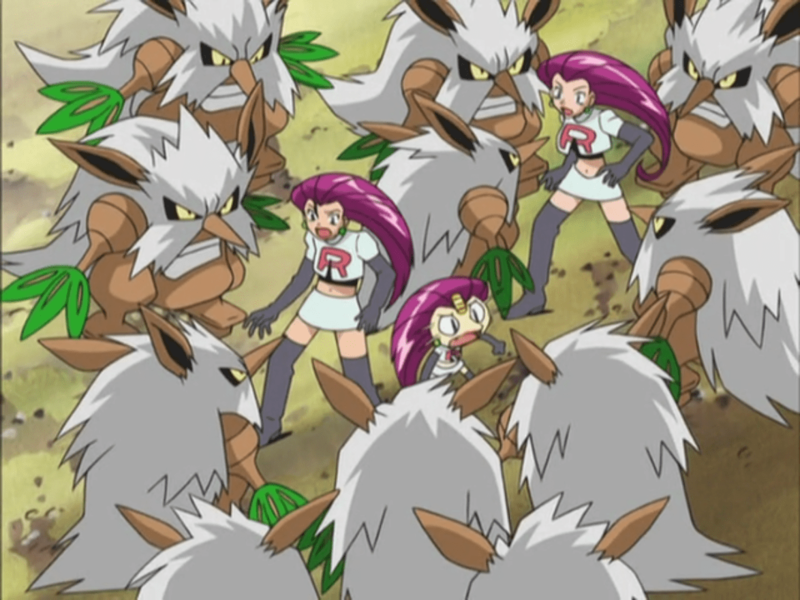 You are able to evolve into Shiftry on the first turn of the game by using Forest of Giant Plants, which lets you evolve your Grass Pokemon on the first turn of the game or the turn they were put into play. You are able to re-use the Ability multiple times beyond the number of Shiftry you have in your deck by making use of cards that let you pick up or devolve Shiftry, such as Devolution Spray, Super Scoop Up, and Scoop Up Cyclone. What does the deck look like? The list which seems to be the standard list for the deck is the same as the one I posted in our original Shiftry article, which originally came from Robin Schulz, a member of the Virbank City Pokemon fan group. What does an improved list look like? The biggest difference from the first list to this list was changing Unown to Roller Skates. 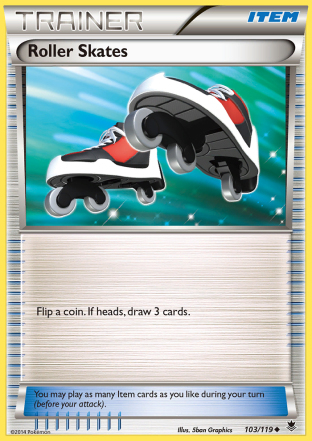 On average, Roller Skates will get you 1.5 cards per a card played, while Unown will get you 1 card per a card play, so Roller Skates on average gives you a larger card advantage. However, Roller Skates also combos slightly better than Unown with the rest of the deck as Shaymin EX and Bicycle can draw more cards the less cards you have in hand, so a tails on Roller Skates may mean you have one less card in hand than you would if you played Unown letting you draw more cards with a Bicycle or Shaymin EX, effectively making a tails on Roller Skates just as good as Unown in these situations. One thing I really like to have in the deck is lots of hand growers. With 4 Roller Skates, 4 Acro Bike, and 4 Trainers Mail I have 12 total options for getting extra cards into my opening hand without getting rid of it with Professor Juniper or having to whittle it down. This is important because the deck doesn’t really kick off until it draws into the Forest of Giant Plants, so you want to keep any Devolution Spray or Shiftry in your opening hand viable to maximize the Giant Fans you can pull off in a game, and the hand extenders allow you to do that well. The next version of the deck I will test will be one with all of these cards plus Unown on top of them. I shaved off 1-1 Nuzleaf-Shiftry from the top of the evolution line because typically I will have two spaces on my field devoted to Shiftry lines and then 4 Shaymin EX in the other slots, so a 4-4-4 line was too much. By keeping 3-3 on the top of the evolution line I still have the option to evolve into three Shiftry if I prize a Shaymin EX or am drawing well enough where I don’t need to use a Shaymin EX as well. 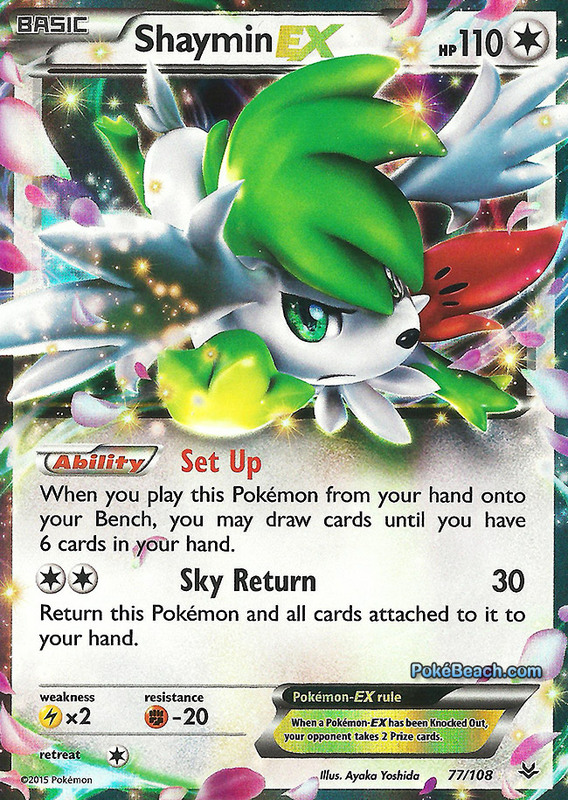 Repeat Ball is really neat in this deck as it can get you a Shaymin EX without having to play any other card in your hand, giving you another out to Shaymin EX if you have one on the field already. It can also be used to get any part of the Shiftry line depending on what’s on your field at the time you draw it. A nice trick is to play a Devolution Spray on a Shiftry before playing Repeat Ball if you want to grab a Nuzleaf to start evolving another Shiftry line. Finally, I included two Battle Compressor, a card I think players are greatly underrating in this deck. It’s very easy for the deck to brick itself by drawing into all cards that don’t allow you to further draw. When this happens, you’re missing out on any further Devolution Spray, Super Scoop Ups, etc. left in the deck limiting the number of Giant Fans you pull off. Battle Compressor lets you nuke any extra Forest of Giant Plants, Level Balls, or Pokemon that you will no longer be able to play onto your field. Removing any fat left in the deck can make a big difference in pulling out the maximum number of attempts at a Giant Fan in a game. Any further tips for playing the deck? My primary goal when playing the deck is to deck myself out on the first turn of the game. The logic behind this is that if you go through your entire deck, you will have maximized the number of Giant Fans you pulled off in the game. You want the game to last just the first turn of the game, because if it lasts beyond that your opponent will have time to play down Pokemon and if you already used up Giant Fans on the first turn of the game than you will probably be unable to pull off the win on any further turns. You don’t necessarily have to win on the first turn of the game, sometimes the deck bricks and then pulls out of it turn 2 with your top deck for turn, but what you want to do is make sure that all of your Giant Fans occur on the same turn of the game. With decking out and playing all of my Giant Fans in the same turn being the goal when making decisions with the deck I always prioritize drawing more than taking the attempt at more Giant Fans. For example, if I have a hand of Ultra Ball, Super Scoop Up, and Devolution Spray, I am going to use the Ultra Ball for a Shaymin EX to further draw through my deck rather than using the Devolution Spray on Shiftry and then attempting to pick up the Shaymin EX with Super Scoop Up. This is a soft rule for playing the deck and not a hard rule by any means. It’s important to be aware of how many more Giant Fan outs you have in your deck at any given time, and based on how many Pokemon on your opponent’s field you sometimes will have to play riskier to have any hope at pulling out a win. The order in which you play your cards is very important, and I see a lot of players misplaying with the deck in this regard. It’s really hard to give a concrete example of how this is done, but you always want to play in a manner that leaves you the best probability of extending your draw. An example of this happens a lot with Trainers Mail, especially early game when you’re fishing for the Forest of Giant Plants. 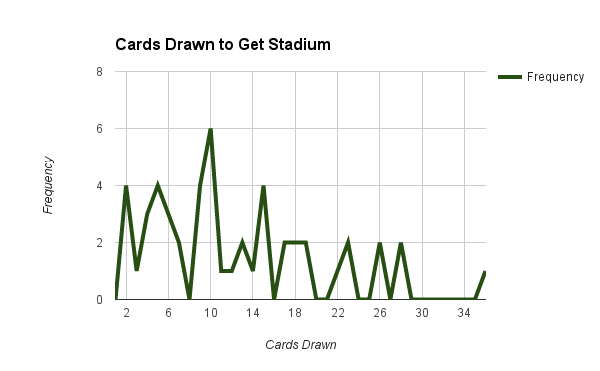 In general, you want to play as many cards to take stuff out of your deck to increase your probability of hitting the Stadium with Trainers Mail, but this isn’t always the case. For example, take a hand of Level Ball, Roller Skates, and Trainers Mail. 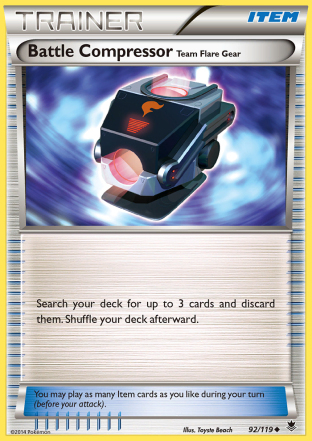 If you had additional cards in hand, you would generally use Level Ball, then Roller Skates, and then Trainers Mail. 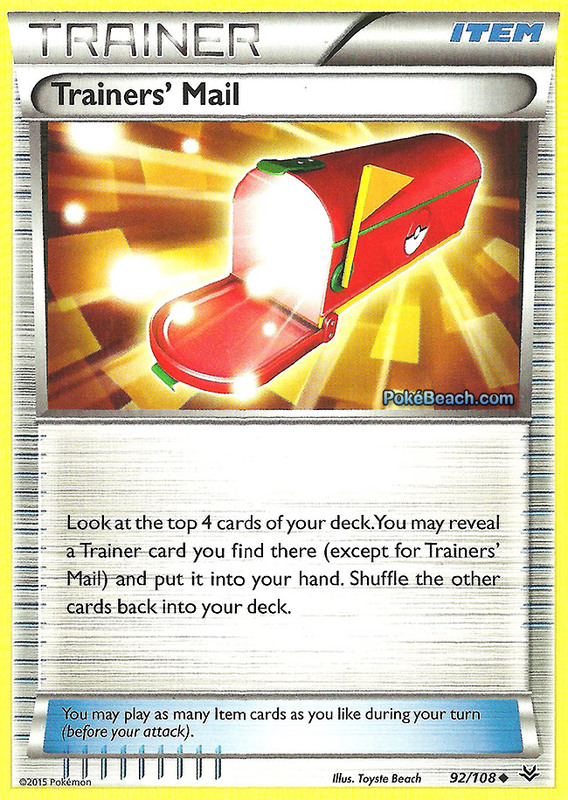 However, in this situation you don’t have a draw out yet, so you would want to play Trainers Mail first in case the draw out you draw off of it is an Ultra Ball so you have cards in your hand to discard with the Ultra Ball to keep the game moving along. The order in which you remove cards with Battle Compressor is also important. First, you will want to remove any excess Forest of Giant Plants. Next you will want to remove Pokemon that are dead at that point in the game as you don’t want to bench them, they can’t be evolved into, or there is nothing left in deck to evolve them into. Next you will want to target your balls which no longer have proper targets. If you draw into Battle Compressor before Forest of Giant Plants is in play and want to burn it to increase your draw with a Bicycle or a Shaymin EX I would recommend targeting a Seedot or two depending on how many you have in play, and depending on how many you will be able to fully evolve into Shiftry. If you prized too many Shiftry then taking out a single Roller Skates can be a good option. How many Pokemon will my opponent normally start a game with? As can be seen in Patrick Roberts’ Six Prizes article on Pokemon probabilities against most decks your opponent will start a single Pokemon to open the game most of the time, at least two Pokemon about 1/3 to 1/2 of the time, and three of more Pokemon less than 1/5 of the time. The probabilities of starting four or more Basic Pokemon was so low he didn’t even bother to calculate it. With such low probabilities for starting a lot of Pokemon, if you go first with a Shiftry deck it won’t take much to blow away your opponent’s field. 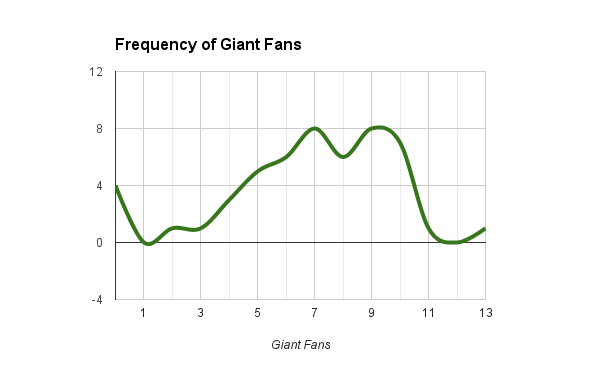 What are the probability of getting x successful Giant Fans in a game? As powerful as Giant Fan can be, it only works when you flip heads. In order to have a successful game with Shiftry you will want to trigger as many Giant Fans as possible to increase your probability of finding success on multiple Giant Fans to win the game. Here are the probabilities of getting at least x successful Giant Fans based on how many Giant Fans you trigger in a game. How many Giant Fans can I expect in a single game? Based on the 51 game trial I did with my updated list for the deck I averaged 6.82 Giant Fans per a game, with a median of 7 and a mode of 7 and 9. The minimum number of Giant Fans I received in a game was 0 and the maximum was 13. The average was 7.4 in games where I got off at least one Giant Fan and 7.95 in games where I decked out. Here is the frequency of each number of successes I had in my trial. What caused the deck to fail? In the 51 game trial, the deck failed to get off a single Giant Fan in 4/51 games, or 7.84% of games. This means the deck fails to get off a Giant Fan in about 1 in every 13 games which isn’t that bad of a failure rate. What generally caused the deck to fail was ending up with a hand of unplayable cards. However, this was generally not a result of not drawing into Forest of Giant Plants. In my 51 game trial, I only didn’t draw into the Forest of Giant Plants in 1/51 games. What the hands looked like that would typically kill games were hands that did have some form of draw, but draw that was dependent on not having a lot of cards in hand (Shaymin EX or Bicycle) and then unplayble cards in the form of Shiftry (without an out to Nuzleaf) and then Devolution Sprays that couldn’t be played because I had yet to evolve, or extra copies of Forest of Giant Plants that couldn’t be played because one was already in play. 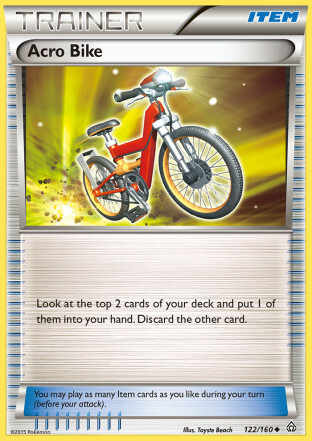 This would lead to a card like Bicycle being unplayable, and a card like Shaymin EX only grabbing 1-2 card and then not drawing the right card to extend the game further after a Setup for 1-2. How fast did the deck find Forest of Giant Plants? In my 51 game trial I found the Forest of Giant Plants on average by drawing 12.03 cards from my deck. I had a median and a mode of 10 cards drawn before finding the Forest of Giant Plants. Here is the frequency chart for how long it took me to find the Forest of Giant Plants. How does when you draw the Forest of Giant Plants affect how many Giant Fans you get in a game? When thinking about the deck, drawing the Forest of Giant Plants as early as possible should give the deck its best games. You can evolve earlier the sooner the Stadium is in play and the faster you get your first Shiftry the earlier you can begin playing your Devolution Sprays making sure that none go to waste. So then it begs the question, how much does when you draw the Forest of Giant Plants affect the number of Giant Fans you get in a game. For purposes of this section I have divided the when into more divisions than the singular numbers. The first division is in the first 8 cards (your opening hand plus your first turn draw), and then after that every other division is divisions of three cards, and then a last division to include the 36 card game. I also left out the game where I didn’t draw into Forest of Giant Plants as that is automatically zero because you can’t evolve without the Stadium in play. Okay, what gives? Clearly drawing Forest of Giant Plants earlier doesn’t have much of an impact on how many Giant Fans you get off in a game. As long as you draw it in the first 20 or so cards you will end up getting a a number of Giant Fans close to the average. I think there are some reasonable explanations for this. If you have Forest of Giant Plants in your opening hand than that is a card spot that isn’t an Ultra Ball or some other form of draw which can lead to less successful games. Additionally, hitting the Stadium early can lead to bricking as then you are more likely to get a Stadium stuck in hand before you can Battle Compressor the rest of them away leaving a dead card in your hand if you don’t have an Ultra Ball or Professor Juniper, which will limit your ability to play Bicycle and also lessen the number of cards drawn for Setup. Additionally, not hitting the Stadium right away isn’t game breaking. You have selective control over what you get rid of with discards with Ultra Ball and can delay playing Professor Juniper most of the time allowing you to minimize any damage that would be done from not drawing the Stadium soon enough. 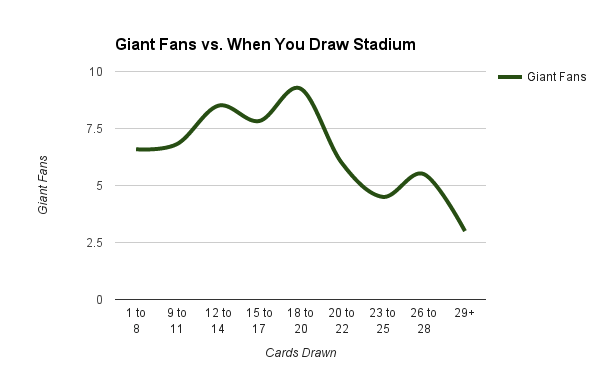 You don’t really see a significant dip in the number of Giant Fans you pull off until you’ve gone through half of your available deck without hitting the Stadium, so if you can actually draw a lot of cards from the deck with little negative repercussions. How does the deck stack up in best of 3? One of the great features of best of 3 Swiss is that if your deck works 2 out of 3 games for you to get the win, so a deck doesn’t always have to be on for you to succeed in a tournament. For this section I want to look at all possible three game clusters that the deck has. What I want to look with at the three game clusters is the number of games in the cluster that had 6 or more Giant Fans pulled off. This is the minimum goal you should set for the deck to get in a game as this is what gives you a 98% probability of winning against 1 Pokemon, an 89% probability of winning against two Pokemon, and a 65% probability of winning against three Pokemon. Given your opponent will start two or less Pokemon in most games, these are the games you should win if you go first. While this is somewhat concerning on the surface, if we consider the clusters with 2 and 3 successful games to be match wins, that would break down to a 7-2 record, good enough to advance to Day 2 of Swiss at Regionals, and then approximately a 4-1 Day 2 record, which would be good to put a player in the Top 8. This of course is assuming matches against non-counter decks. This would put Shiftry in Tier 1 territory in any model I’ve ever done for a tournament. Additionally, many of the 1 game clusters included games with 4 or 5 Giant Fans, which give 69% and 81% probabilities of winning against 2 or less Pokemon by the opponent. So even though I don’t consider them successful games, they’re still games Shiftry will win most of the time going first. Additionally the clusters with only 2 successful games also included these 4 or 5’s, so while the third game in the cluster wasn’t considered successful, it still wasn’t necessarily a non-viable game that Shiftry would automatically lose. How long do games with Shiftry take? In the 7th game, the deck bricked so I didn’t completely go through my deck. On average, a game with Shiftry took 7 minutes and 36 seconds. If you take out the bricked game, the games took 7 minutes and 59 seconds. Just to break up the wall of text. Some things to note about these numbers is that I didn’t have an opponent to cut or shuffle my deck, and I didn’t spend much time feigning interest in meticulously going over everything in my deck outside of checking the number of prized Pokemon. If we take these into account, games probably take closer to 11 minutes each. If you put the deck in the hands of one of the slower players, the time used could multiply beyond that by possibly 1.5x more, which would make games take about 15 minutes each. This means that the first two games of the series could take 30 minutes, plus around 4 minutes for shuffling in between games for a total of 34 minutes used of the game clock not even taking into account the amount of time the opponent used in the game. This is important because in the hands of one of the slow players, the deck could be played to where time is always called in game 3 during the Shiftry player’s first turn of the game, essentially assuring the Shiftry player either a match win or a tie at worst. Of course this probably won’t occur most of the time, and can be disrupted by scooping. However I would suggest rarely scooping to a Shiftry deck because if they hit a cold streak and flip tails on Giant Fans you can pull out a win in the game fairly easily. Additionally, the time an actual game completes in should trend less, because as soon as the last Pokemon is shuffled in, the game ends, while in my trial, I continued on until I exhausted my deck or could not do anything else in my turn. It’s just important to point out that if slow play is left unchecked, then the slow playing Shifry players can put themselves at a big advantage in best of 3, 50 minute swiss. What are the counters to Shiftry? The two hard counters to Shiftry decks are Ability lock and Theta Stop. The soft counter is Item lock and benching a lot of Pokemon. As far as the soft counters go you have Vileplume AOR and Trevenant XY for their turn 1 Item lock, but even if you get this on turn 1, if they have the right opening hand, they can still Giant Fan away your Vileplume or Trevenant and then proceed as normal. Additionally, these cards do nothing if the Shiftry player goes first. As far as hard counters, Wally into turn 1 Garbodor DRX provides Ability lock, but like the soft counters, it is useless going first. 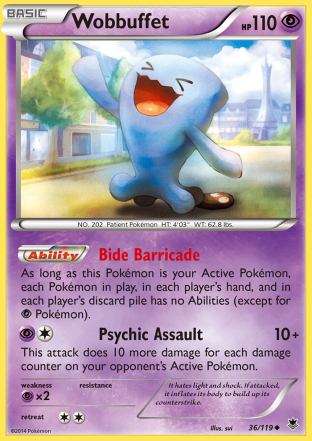 Wobbuffet, however, is a great starter because it will shutdown Giant Fan from the onset of the game. As far as Theta Stop counters, Baltoy will be the main counter as it is the only Basic with Theta Stop. 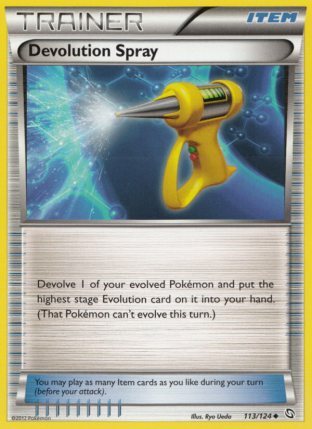 Theta Stop prevents Pokemon with the trait from being affected by your opponent’s Pokemon’s Abilities. M Sceptile EX also has it, but like other cards that need to evolve, it is useless going first. I think we will see these cards mixed in as techs into various decks. Some of the softer ways to play these cards is as part of other decks. Some popular combos of these types of decks are Gengar EX/Trevenant XY/Wobbuffet PHF, Primal Groudon EX/Wobbuffet PHF, Vespiquen AOR/Baltoy, and Night March/Baltoy. With a deck like this, you have a 44% probability of starting Baltoy. In half of those you will go first, and in half you will go second. Given going first you should be able to get out a Baltoy almost every time, that gives you approximately a 72% probability of winning any matchup against Shiftry with such a deck list. This deck is obviously built well to beat Shiftry, but it would appear to be questionable against most other decks so I would expect people to gravitate more towards the softer counter decks listed above. Can you counter the counters? Yes, you actually can counter these decks to some degree, although I’m not yet sure what the best cards are to cut from the list to fit in the counters (Recycle seems like a strong cut candidate to me right now), and how often they will effectively counter the deck. 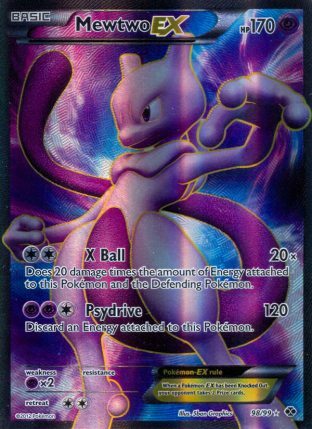 A popular option is to include Mewtwo EX, a Double Colorless Energy, and a Muscle Band into Shiftry decks. If the opponent doesn’t get any additional Pokemon down onto their field, then you can use X-Ball with a Muscle Band to knock out either Baltoy or Wobbuffet. I’m not a big fan of this strategy, as your opponent gets a turn before you can counter them, which will give them time to play down extra Pokemon, so most often you won’t get the second turn knockout for the win. Additionally, Mewtwo EX by itself doesn’t really counter the mono Wobbuffet deck as it plays Enhanced Hammer and Team Flare Grunt to remove the Double Colorless Energy. Therefore, in situations where your opponent has more than two Pokemon, you probably can’t go straight to Mewtwo EX as the Energy will just get removed and then you lose. What you can do is try to continuously use Sky Return with Shaymin EX’s, working around sleep from Hypnotoxic Laser with your scoop up effects before transitioning to Mewtwo EX for a final knockout. I think if you go the DCE route, Mewtwo EX is still worth the space for the games where you can X-Ball a single Pokemon for the win. A strategy that I think has the most potential is using Mew EX, Muscle Band, Latios EX, and a Psychic Energy. Mew EX can copy Latios EX’s Fast Raid and use it on the first turn of the game, and since it is Psychic type it can OHKO both Wobbuffet and Baltoy with a Muscle Band as it hits for weakness. The Wobbuffet/Baltoy deck will start a single Pokemon most of the time, so if you go first, there will be plenty of opportunity to donk them. 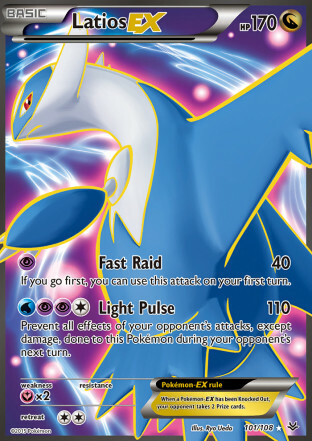 Latios EX also can help you win games in games against other, non-counter decks by lessening the number of successful Giant Fans you need. You can use Giant Fan to remove the high HP Pokemon from your opponent’s field and then finish the game by using Fast Raid on a low HP Basic. I think these ideas need much further testing but I think there are kernels in these strategies for successfully countering the Shiftry counters with Shiftry. Shiftry will provide the basis of our Fall Regionals meta game and will completely warp the format to be based around it. If you don’t play a counter to the deck, you will lose almost every game that you go second against the deck. I don’t think Pokemon will ban Shiftry before the first weekend of Fall Regionals, but I think the deck is problematic in that it creates a tournament environment with a lot of solitaire games, as well as short games where one player doesn’t actually get to play the game. This is completely unhealthy for the tournament environment, and would make for a big turn off for any new players as well as many veterans, which should force Pokemon to make some action before too long. I think they will probably give it at least one weekend of legality, and then if it derails the tournament it will be dealt with swiftly afterwards. I think a lot of players are underrating the deck big time and I think anything saying that Shiftry is not a major threat to win a tournament is misleading. However, the thing about Shiftry is that its success will be dependent on its matchups and coin flips, which means that some players will run hot in this regard and some players will run cold in this regard. While Shiftry isn’t a golden ticket for any one individual to win a tournament, as a collective many Shiftry decks should rise to the top (unless the rest of the meta game is all counter decks) so it should be well represented in Day 2 of Swiss and Top Cuts as a whole. Here is the data from my 51 game trial. It includes the number of cards it took to draw into the Giant Forest, cards left in deck at the end, and the number of Giant Fans pulled off in a game.